Roll up, Roll up – Beavertown Brewery is hosting Galvin’s Annual Craft Beer Dinner at Café a Vin in Spiralfields and founder Logan Plant is your host for the night. Talented head chef Jack Boast has prepared a special menu to match Beavertown’s extraordinary beers, and Logan will be on hand to share his insight throughout the meal. Beginning with Galvin’s famed Tart Flambée, I see that beer can chicken is on the menu, partnered with Beavertown Gamma Ray, and apparently there’s some as yet unreleased beers arriving too. 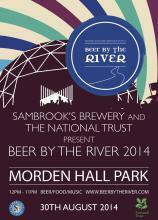 Wandsworth-based Sambrooks heads up the river once more to join with the National Trust and host it's second Beer by the River festival at Morden Hall Park. 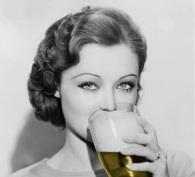 After a successful debut in 2013, there's plans for more of everything - food, music and, of course, beer! It's a very relaxed affair, with plenty for kids in the day, and lots for the rest of us in the evening. And there's a Homebrewers' competition too. Submit your entry online before the festival, and bring along a case of your bottles on the day to have your brew judged and voted on by the festival goers, before a shortlist of the most popular ones is decided upon by a panel of expert judges. Head to the website to find out more. 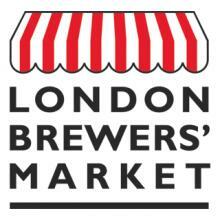 Over 20 London breweries are once more getting together for a pop-up London Brewers Market at Old Spitalfields this Friday and Saturday. The best of London Brewers Alliance are sharing their wares with visitors. From Beaverton Brewery through to Windsor & Eton (OK, I couldnt find an A and a Z brewery, but therell be more than enough to keep you amused. There’s food and a beer garden, Saturday the Independent Label Market will also be setting up shop. 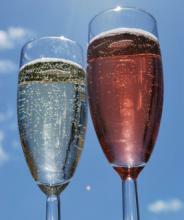 Fancy a new way of looking at wine? Well the guys and girls behind Toast Festivals have teamed up with some of the wine and restaurant world’s most creative minds to bring you a day with a difference: Wine Sessions. It’s back, and as wonderful as ever. 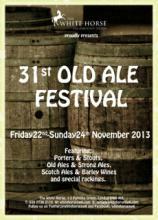 The White Horse's notorious Old Ale Festival returns for its 31st outing. With over 60 beers garnered from all quarters of the British Isles, make tracks if you want to taste gems such as a one-off four-year-matured collaboration between Thornbridge and Dark Star, a cask of Wild Beer Modus Grand Cru, or classics such as Harveys Old Ale, Jennings Sneck Lifter, and Purple Moose’s Dark Side of the Moose. An unmissable opportunity for anyone who loves their beer: 13 Champion Beers of Britain as decided at CAMRA's Great British Beer Festival are available to taste in The Bull's Champion Beers of Britain festival this weekend. From the elegant darkness of Hobson's Mild – a 3.2% winner back in 2007 – through to the majestic texture of Coniston Brewing Company's no 9 Barley Wine, the 8.5% champ from 2012, there's a variety show of taste and colour to enjoy.